Philadelphia police search for missing 15-year-old girl. PHILADELPHIA (WPVI) -- The Philadelphia Police Department is seeking the public's help in locating a missing teenager. 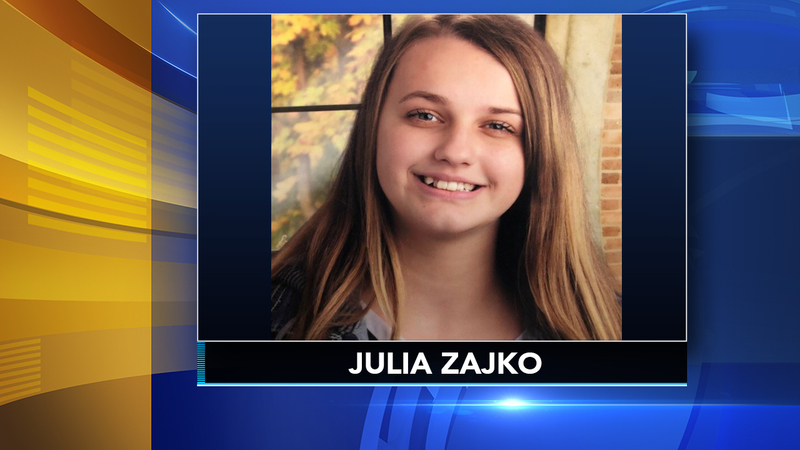 Fifteen-year-old Julia Zajko, who suffers from depression, was last seen leaving her residence on the 400 block of Roxborough Avenue on the evening of Friday, December 7th. Julia is described as 5'2", 115-pounds with blonde/brown hair and light brown eyes. She was last seen wearing gray sweatpants and a navy blue coat. Anyone with information on Julia's whereabouts is asked to contact police.